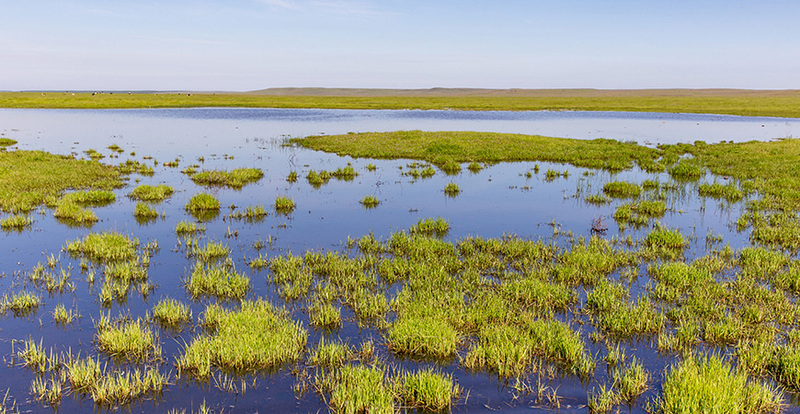 UC Merced's Vernal Pools and Grassland Reserve has inspired a scholarly journal for undergraduate students. UC Merced’s Vernal Pools and Grassland Reserve has become a hallmark of the campus — acres of preserved lands that contribute to the university’s mission of environmental conservation and while offering unique research opportunities to students and faculty. One of the campus’s best-kept secrets, though, might be The Vernal Pool, a scholarly journal for undergraduate students’ creative writings, from poetry to plays. Founded by UC Merced instructor Paul Gibbons, the journal gives students the opportunity to publish their creative works in a formal way that can benefit them when applying for graduate school or jobs. It’s also an outlet for them to express themselves through creative work, editorial board member John Hundley said. The journal only accepts submissions from UC Merced undergraduates, and is published twice a year on the eScholarship platform, which allows UC affiliates and departments to have direct control over the creation and dissemination of their work. Gibbons had to apply to be allowed to publish the journal and had to ensure a strict review policy for all submissions. 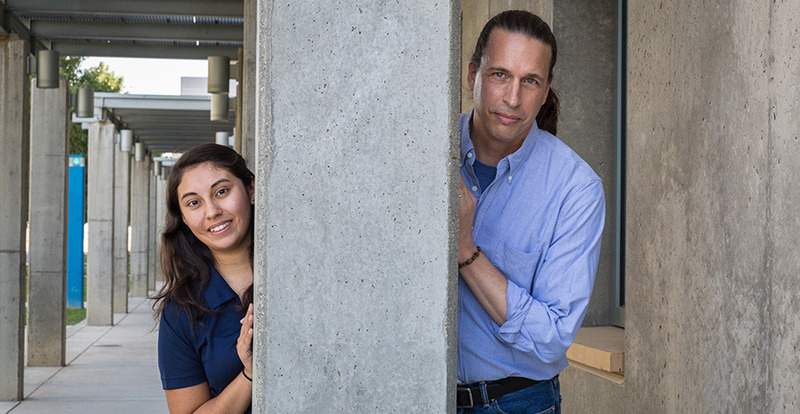 Monica Perales, a writing minor and two-time 'Vernal Pool' published author, with journal founder Paul Gibbons. Students can submit pieces of up to 2,500 words. The submissions are peer- reviewed, and then the editorial board — made up of faculty members from the Karen Merritt Writing Program and the UC Merced Library — hold a final session to decide which will make the cut for publication. The Vernal Pool is the logical progression of the campus’s writing minor, which encompasses professional and creative writing as well as style study in its three tracks. The campus has offered writing classes since it opened, but the writing minor has developed over the years into a curriculum supported by the 70-plus faculty in the Merritt Writing Program and two senate faculty members in the School of Social Sciences, Humanities and Arts. We want to reflect all the different voices on this campus. The Vernal Pool is still taking submissions for this year’s fall/winter issue. Gibbons said he prefers to keep each issue to between 12 and 15 pieces, to hold readers’ attention. At the same time, he said, it would be great to publish more often. The journal accepts creative writing submissions of all kinds, on all topics, and there are plans in the works to feature translations from different languages — starting with Spanish. Gibbons hopes to eventually draw as many as 100 or more submissions each semester.